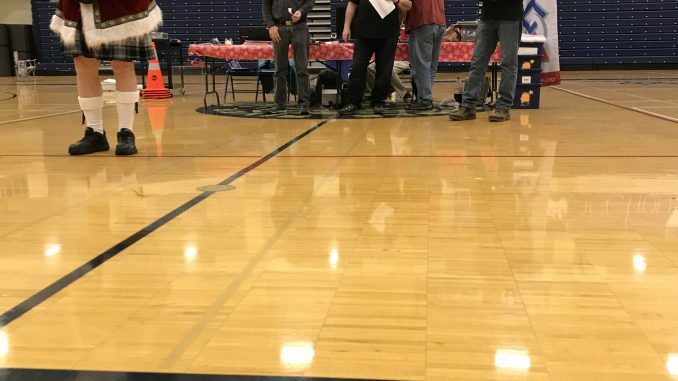 On December 9, 2017, The Eagle River High school robotics teams competed in the south-central FTC robotics tournament. One of the teams named Nuclear Wolves had already qualified at the South Central League Championship which denied them a chance to qualify again at this tournament. But, the other two teams, Phantom wolves, and Cyber Wolves, still had an opportunity to automatically advance to the state tournament held at University of Anchorage Alaska in early February after their two upcoming commotions in January. But, these two might just feel like practice to them as they continue to perfect and hone in on their skills and more opportunities to win some major awards like the inspire award, the judges’ award, and the notebook award. This image is of the judges at the end of the competition.